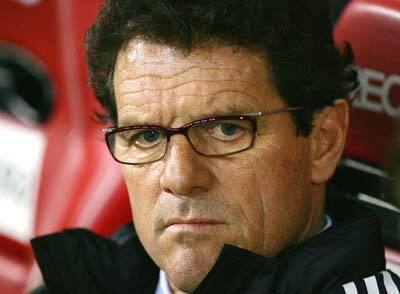 Fabio Capello: I will announce my squad 2 hour to the match. England manager Fabio Capello insists he will not release his starting eleven for the match against USA even to his players until two hours to kick-off. Journalists and analyst are trying as much as possible to guess his selection and formation for the match but the clever Italian also confirmed he already knows what his starting XI will be. However, rather than serving the purpose of simply keeping the nation on tenterhooks ,Capello stated that his decision has sound logic. "I will not tell the players who is playing until two hours before the game, which is what I always do," he told a press conference. "The reason I do that is because if you name the side overnight and then someone is injured, it is not easy to recall the other player who was not originally picked”. "What I am looking for is the same spirit that England showed in qualification games for the World Cup. I want us to be really compact on the pitch. These players are physically fine and their minds are very focused on this game coming up. They have a lot of desire and appetite to do well. The players here are the best English players. I am confident." The Italian coach faces his international tournament as England take on the USA in Group C.
The England boss confirmed that Gareth Barry, the Manchester City midfielder, would be among the substitutes for the match, as he hasn't fully recovered from the ankle injury he suffered at the end of the season. "He has been training normally for three days and has trained hard. He will be on the bench, but I am not sure of the first 11," Capello continued. "England is ready for this match. The first game is always hard because expectation levels are really big. "But we have been here eight days, training has gone very well and we are confident. "We know the expectation levels of the fans are really good. I am sure the team can reach the finals. I genuinely believe we have a squad that can make it to the final."